Devils Punch Bowl or The Cauldron , connects to the bay behind by 2 narrow channels . One of a number of complex features along this section of limestone coast. 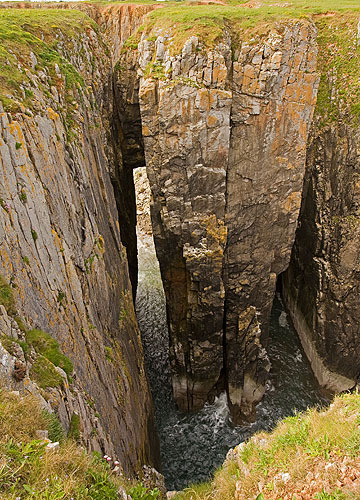 This feature is about 45m deep and up to 55m wide.